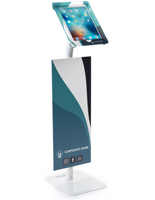 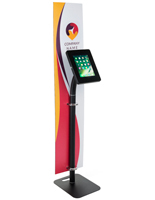 Complete with custom visuals on the enclosure and poster, this iPad pro kiosk with 60” custom-printed foam board makes a great interactive promotional tool for trade shows, malls, or other retail environments. 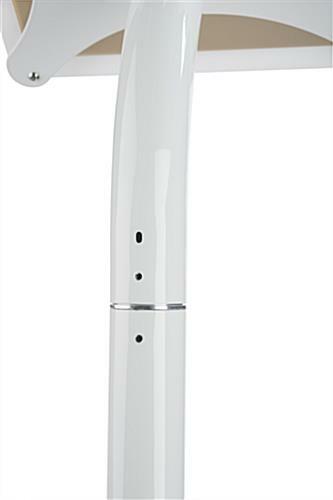 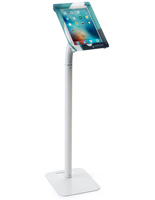 Crafted from high quality aluminum, steel, and acrylic, each floor standing fixture is sure to last daily use for years to come. 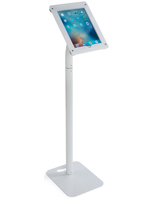 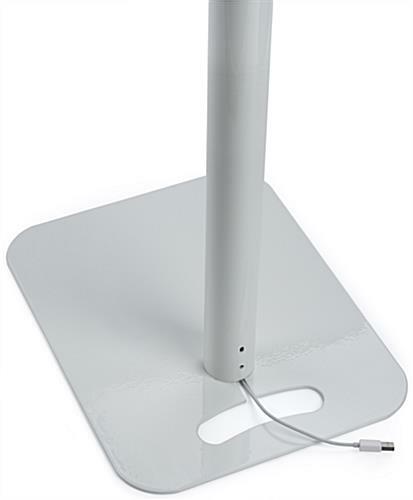 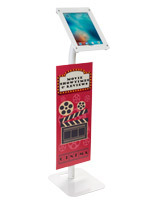 Integrated cable management lets you charge your tablet in the kiosk with 60" banner without wires dangling around the display. 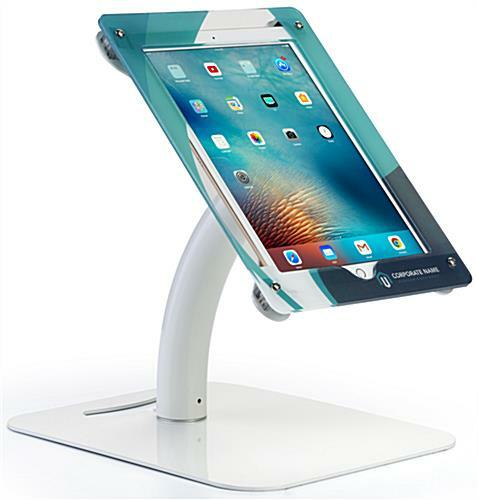 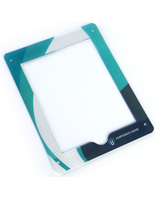 The custom enclosure rotates 360° to easily allow users to switch from portrait to landscape view. 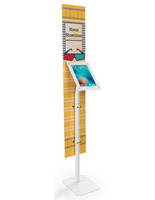 Additionally, the floor standing unit can be used as an interactive product or map directory. 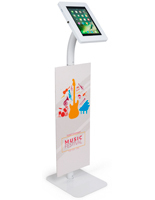 Each quality poster is double sided to grab the attention of passersby going in either direction. 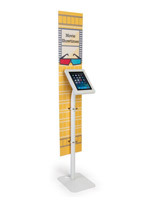 Kiosks such as this are a great way to advertise products and services at trade shows or other events! 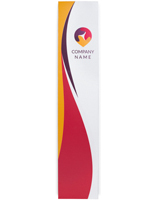 12.0" x 64.0" x 16.0"